Most rare collectible(s) owned: One of a kind lensometer, alternate-mode movie prop of "Scalpel," aka "ze doctor!" used in filming Revenge of the Fallen. I'm also particularly proud of my Transformers: Dark of the Moon, movie poster autographed by Stephen Spielberg and Frank Welker. - Had the opportunity to meet them at Transformers the Ride Grand Opening Event in Orlando, Florida in 2013. I also have 2007 Transformers movie poster autographed by Peter Cullen, Mark Ryan (Bumblebee) Michael Bay, Brian Goldner, Activision (video game) Team. (Not knock-off) Constructicon gift set in Greek letter packaging (found in Greece) and a G1 Perceptor, mint in sealed box, autographed by Hideaki Yoki, Senior Transformers toy designer at Takara, who designed this toy personally (he also had a hand and supervised the design and manufacture of virtually every Transformers toy ever made. 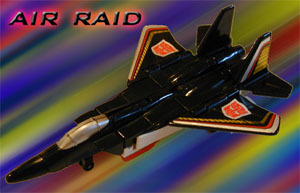 Most rare Transformers collectible owned: What I lack in rarety, I make up in quantity! Most rare Transformers collectible owned: Masterforce Overlord - found in a crowded shop window on a old toy store on an Island in Greece! First Transformer Ever bought: Not sure the first I bought, but I remember the first I ever owned was a small gray & green robot that turned into "half a car." Years later I discovered it was the G1 Pretender "innards" of Longtooth, minus all his accessories (including the back half of his car mode!) Amazing what you can learn on the internet! 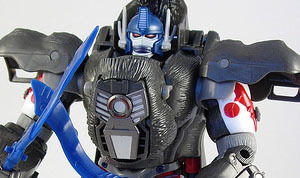 First series ever paid attention to: Beast Wars! 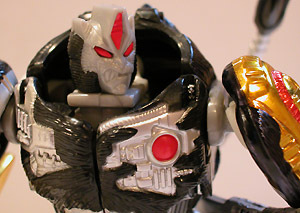 Favorite TF Cartoon: Beast Wars, (but "Animated" is catching up! Favorite Comic: Don't really have one. 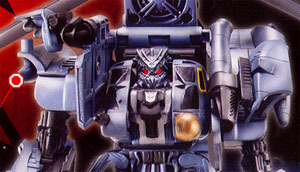 Least favorite TF persona/toy: Cerebros from Rebirth/any that lack pose-ability! Favorite Comic: A tie between Robert´s MTMTE and Furman´s Marvel UK G1. Least favorite TF persona/toy: Sam Witwicky and his constant whining and "No, no, no". I can´t stand him. Most rare TF collectible I own: A couple peruvian Lynsa minibots MOSC. First series ever paid attention to: I watched G1 reruns when I was little, but I was too young to actually follow it. 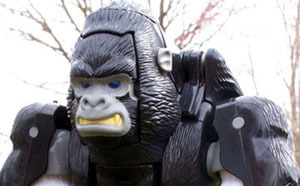 Beast Wars was the first I had ever completely followed. Are you interested in being a part of team Unicron.com? We always welcome new help and contributors! 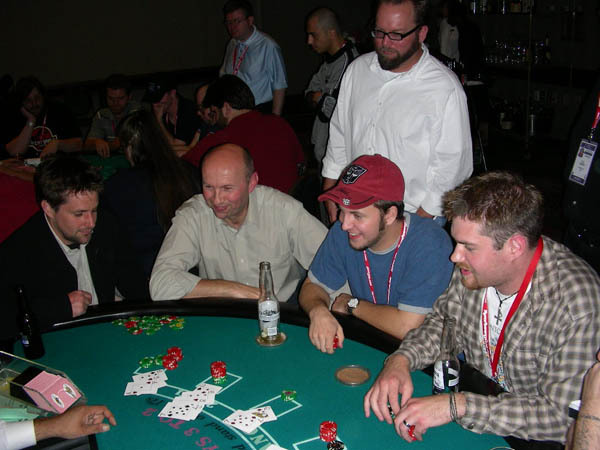 Shoot an email to us Lukis Bros and we'll be happy to consider signing you up! Alright, we admit it! We are serious (Transformers collecting) geeks! Grown adultes, who still shiver with childish glee when opening up a new Transformers toy, we may fool most of the world into thinging that we're just "normal" guys, but guess again! Since the very first time we saw them as young children in a "Hills" store near West Seneca, New York in 1984, The Lukis Brothers have been Transformers fans-for-life! 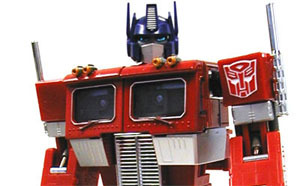 We have countless fond memories growing-up with these robots in disguise. Jason, (still pretty young when the were first released), might have cut a few molers gnawing on the rubber nosecone of one of his first Transformers (Skywarp)! Today, we're loving life and continue this "hobby" for the sheer fun and camaraderie of it all! Unicron.com was formally extabolished on October 7, 1997, back when the business world was still trying to figure out what exactly the internet was! Originally, the website was created to show off Jason's toy alterations, but it quickly evolved into much more. In the months and years that followed, we were amazed to learn how many other Transformers fans there were across the world; young and old, some even nuttier than us! What fun! 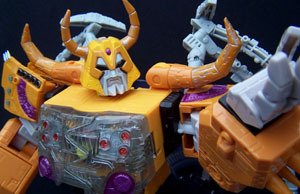 Today, we continue to maintain unicron.com to help share, with the ever growing Transfomers fanbase, our enjoyment and enthusiasm for these toys that captured our childhood imaginations and has never since let go. 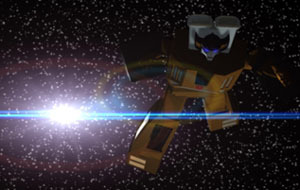 To that end, throughout the years, as both the Transformers Fandom and the culture of the internet have evolved, Unicron.com has too changed, grown, and evolved as well. We provide a multi-platform open forum (website, mobile device App, facebook/twitter/youtube...). Fans to express/share their opinions through toy reviews, share siting to help one another find the newest toys when they become available and keep fans informed of the latest news. We have extensive Instructions and Package Art Archives. And, (what we really consider to be the meat and potatoes of website) and etensive year by year database of Transformers figures covering every series realeased in every market across the world from 1984 to today. Throughout the years, we have found countless fans like us that want a complete online catelogue of Transformers (a checklist if you will) for people who are still crazy enough to try and collect them all! Without a doubt the internet has a lot to do with why Transformers fans and collectors are among the most passionate of any fan base, of any property. We have a lot of fun being a part of that growing community and that's what it's all about! Although our interest in Star Wars is quite cursory, when it comes to collecting Transformers, we are believe in following the principles of Rebelscum's Collect to Collect, Code of Honor. 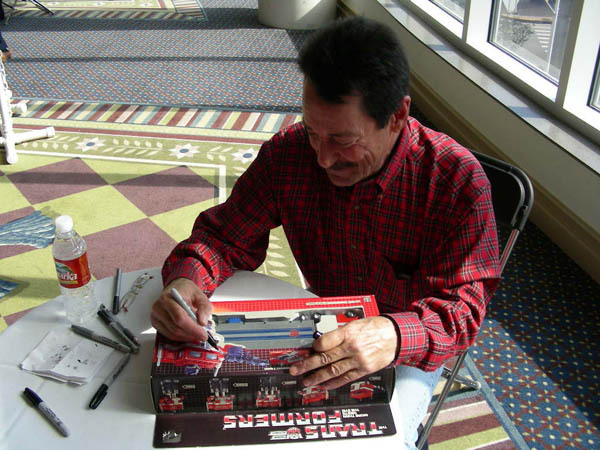 Throughout the years we have had a chance to meet Peter Cullen (G1/Movie, Optimus Prime), Michael Bay (Movie Director) and Brian Goldner (Hasbro CEO and film's Executive Producer), we've been interviewed by Toy Collector Magazine and on BBC radio affiliate in Ecuador, we've met the makers of Transformers toys, cartoons, comics and video games... Who ever would have guessed that a simple web site could evolve into all this?! 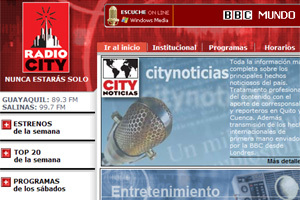 Click either of the picture/links below to hear our interview on BBC World Radio (warning, it's partially in Spanish! 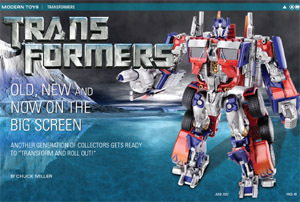 ), or the well written article on Transformers collecting from Toy Collector Magazine, June 2007, we are quoted at various points of the article starting on page 47.